Paul Manafort, the campaign manager for Donald Trump when the reality TV star and businessman accepted the Republican nomination for president, has been found guilty of eight out of 18 charges in his financial fraud trial. The judge declared a mistrial on the 10 other counts after jurors were unable to reach a unanimous consensus. Manafort stood accused of hiding about $ 16 million US in income from the Internal Revenue Service between 2010 and 2014 by allegedly disguising the money he earned advising pro-Russian politicians in Ukraine as loans and hiding it in foreign banks. He was charged with a total of 18 counts of bank fraud, bank fraud conspiracy, failing to file foreign bank account reports and subscribing to false income tax returns. Jurors were in their fourth day of deliberations in Alexandria, Va., on Tuesday before advising U.S. District Judge T.S. Ellis III they had reached a partial verdict. 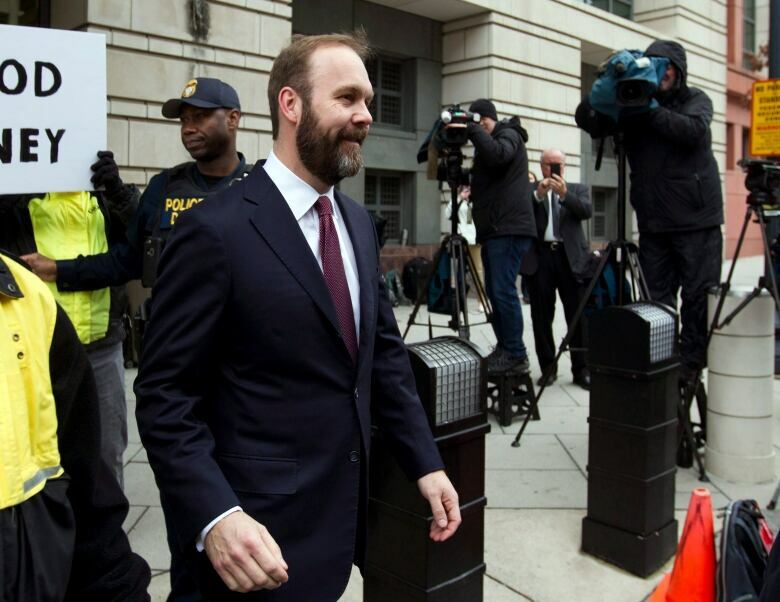 The trial was the first related to the special counsel investigation led by former FBI director Robert Mueller, although his probe has also secured guilty pleas from a number of individuals, including former longtime Manafort aide Rick Gates, who co-operated with prosecutors. The jury of six men and six women heard tales of ostentatious displays of wealth and deceit at the trial in Virginia. That included the testimony of Gates, who admitted to an extramarital affair and stealing money, unbeknownst to Manafort. The defence tried to attack the credibility of Gates, who has pleaded guilty to lying to the FBI. It also argued that Manafort couldn't have committed bank fraud, as Federal Savings Bank officials who signed off on his loans were well aware of the shaky state of his financing. Trump defended Manafort as recently as Aug. 17, when the jury was already deliberating. The president's public statements have raised the spectre he might try to issue a pardon for the longtime Republican operative. 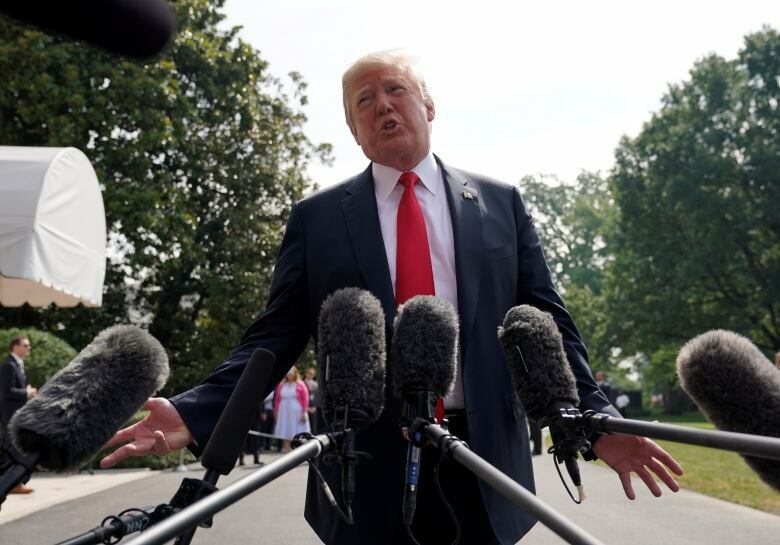 The president said the prosecution was a "sad day for our country." Asked if he would consider a pardon if Manafort is convicted, Trump said: "I don't talk about that." Manafort joined the Trump campaign in March 2016 and was elevated to chair in May. He left the campaign in August that year — days after the New York Times reported a Ukraine investigation had uncovered $ 12.7 million in undisclosed cash payments involving Manafort from 2007 to 2012. The money, the newspaper reported, came from the pro-Russian party of Viktor Yanukovych, the one-time Ukraine president. But the court was given an indication that Manafort was not necessarily shut out from the Trump team when he was let go. Evidence at the trial included a November 2016 email sent by Manafort to Jared Kushner, Trump's son-in-law, after Trump won the presidential election. In the email, Manafort recommended three candidates for administration posts, including Stephen Calk, chairman of the Federal Savings Bank, where Manafort was able to arrange millions in loans. Kushner enthusiastically responded to Manafort's recommendations by email: "On it!" Manafort's prominence in D.C. lobbying circles extends back nearly four decades, when he helped found a firm along with individuals including Roger Stone, another former Trump campaign adviser who has testified to congressional committees examining Russian interference in the 2016 election. The Manafort trial came about as Mueller was given the authority as of May 2017 to investigate any links and/or co-ordination between the Russian government and individuals associated with the campaign of Trump, as well as any potentially criminal matters that arose directly from the investigation. Trump has repeatedly denied colluding with Russia, although there is no such federal crime of collusion. The president could be damaged politically should there be findings of conspiracy or obstruction of justice in a report Mueller is expected to deliver at the conclusion of the investigation. Manafort succeeded Corey Lewandowski in directing Trump's campaign, and was essentially replaced in that role by Steve Bannon. Manafort was present, along with Kushner and Donald Trump Jr., at a controversial Trump Tower meeting in June 2016 with Russian figures that has been a subject of inquiry in the congressional intelligence, judiciary and oversight committees. Mueller's indictments have included some two dozen Russians for alleged cyber-intrusions designed to disrupt the 2016 election and roil the U.S. political debate.